it was simply a way to give these orphans a place to live - to keep them from being put out into the streets or turned into restaveks (child slaves). ESMI agreed to come alongside Mt. Carmel and help with the continued care of the children, although it is their normal practice to plant a church first, then add an orphanage if necessary. After the children were settled in their new homes, the prayers began for a church. In July 2014, the Just Go Haiti team, along with Pastor Honore and the children, gathered and joined hands to claim the land for the Lord and to ask Him to provide a church for this community. a gentle mist fell on the group, only to stop as the prayers ended. 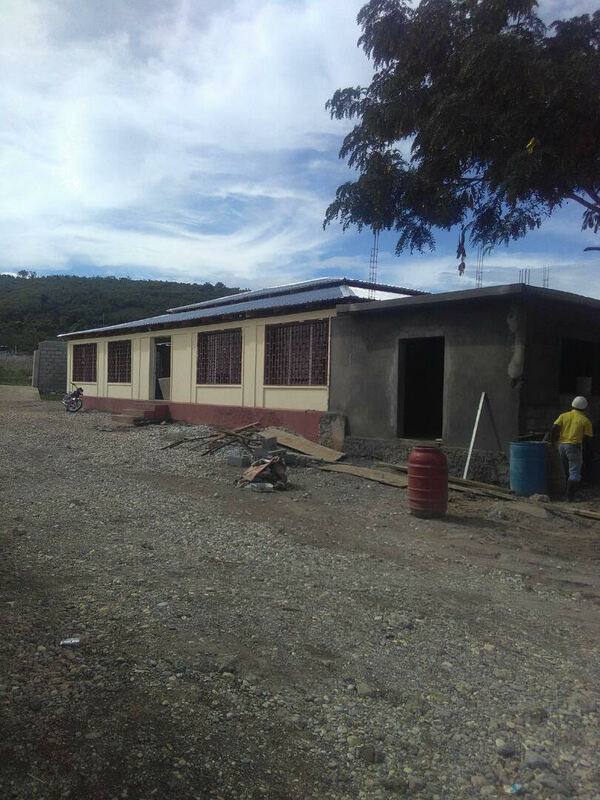 The team was told that in Haiti, the rain is a blessing from God, and two days after returning to the states, an anonymous gift was given to build the church, with the donor once again asking that all the glory go to God. was completed and dedicated in December 2014. The Christmas team was amazed to see that the pews were packed and the people were 20 deep outside the windows. Seven years before, when UNICEF gave Pastor Honore the land (the land that he had no funds to build on, that would later become Emmanuel Children's Village), this area of Chateau was basically wasteland, with a few homes and no commerce. By the time the church was finished, the area has become a bustling community with small businesses, many families, and, as Pastor Dony, explained to us, a perfect place to reach people with the gospel of Jesus Christ. that had been made long, long ago. Teams have witnesses amazing moments in this building, from choreographed music and dance from the Emmanuel children to "holy dance parties" with the Holy Spirit moving to devout to sincere worship from people whose faith is strong in the midst of incredible poverty and difficulty. came and set up tents and tarps on the church foundation to bring medical care to those in great need. In the meantime, Pastor Honore and his flock continued to worship under tarps, and while they dreamed of a new church home, their faith did not waiver, but remained strong. Construction of the new church at Emmanuel began in June 2017, and the July team eagerly awaits the moment they see a new structure replace what Matthew took away. And destroyed by Hurricane Matthew in 2016. The rebuilding begins in June 2017. The new church is completed in 2018.